Most recently, I have been accepting orders that push me into areas that I was intimidated to enter. My hubs has been instrumental in this as well. My theory for JGD is quick and easy projects. My Sorors wanted dog tags to show our love for TPS. 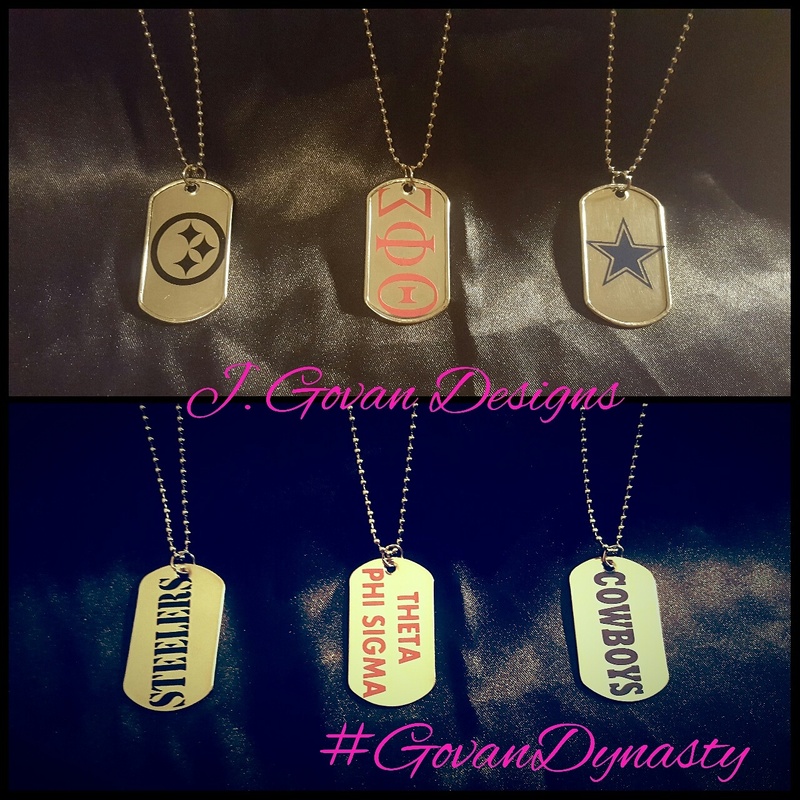 My Hubs wanted dog tags. I needed new dog tags. So as I was about to say that I will locate someone who made them, Hubs said to wait. We found some blank tags and began to cut out some vinyl logos. Voila! We now offer dog tags. 😀 Why I waited??? I was over thinking the process. I hate weeding small items and letters. But these are fast and easy.